I made arrangements to photograph the former U.S. 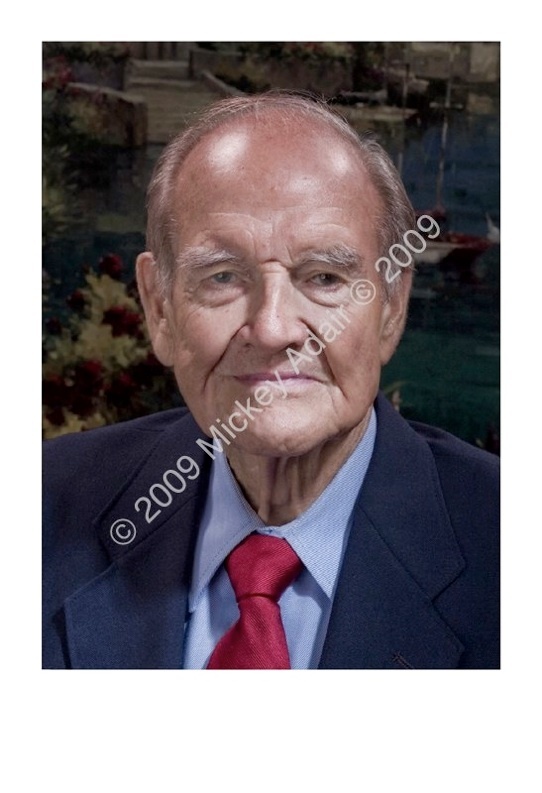 Senator from South Dakota and World War II B-24 bomber pilot while he was on a book tour for his biography of Abraham Lincoln. Senator McGovern has a Ph.D. in history. He was the 1972 Democratic nominee for President. Here he is posed in the living room of his winter home in St. Augustine Beach, FL. Democratic National Committee member Jon Ausman was with me so there was a lot of political talk. At one point the Senator mentioned that while attending Richard Nixon's funeral that the disgraced former President probably would have been better off if he (the Senator) had won that election.